← Turkey Verde Lettuce Wraps. Rocking New Music From Mourning Birds. 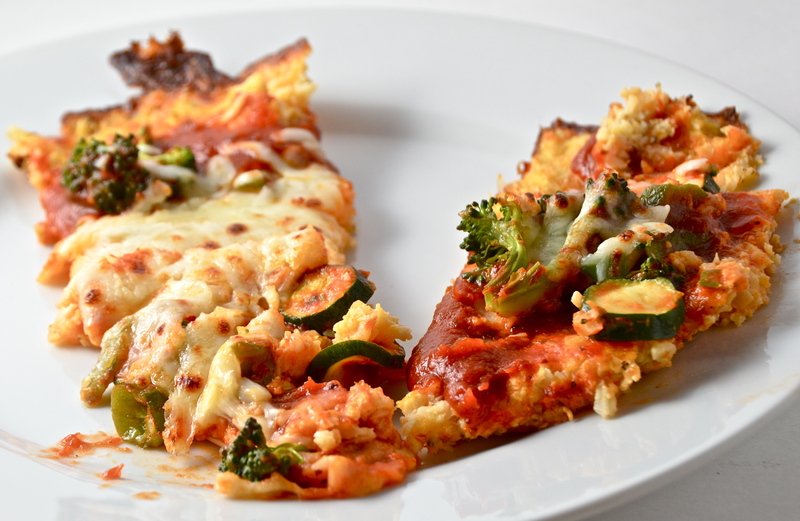 Cauliflower Crust Pizza. Getting My Gluten Free Groove On With Snippet. 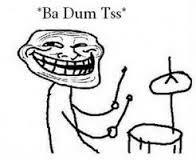 Q: What did the farmer say when he opened his barn and his plow was missing? When I asked musician Johnno Casson (aka Snippet) what kind of recipe he might like paired with his music, he requested something savoury and gluten free. Savory I know all about. Gluten free was a welcome challenge. Of course, I know going gluten free is all the rage, but not having any health related problems to gluten I’ve never really given much thought to it. I had a great time researching gluten free recipes. It was amazing to see how many inventive ways there are to make delicious meals that do not contain gluten. 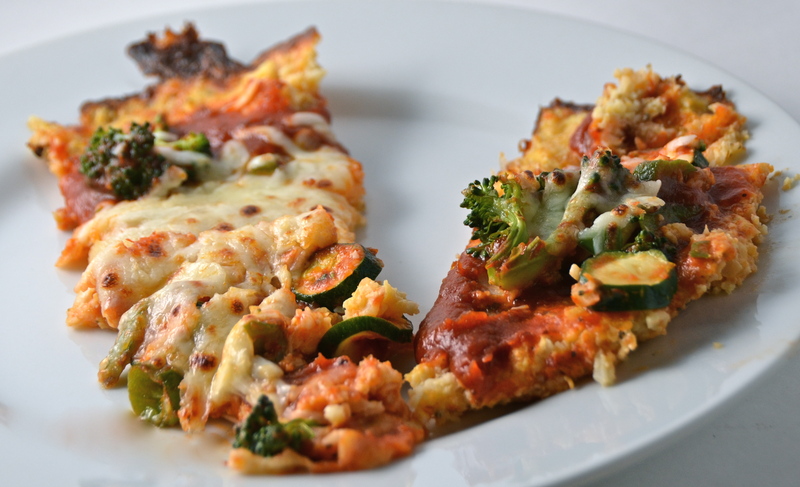 Like this Cauliflower Crust Pizza. 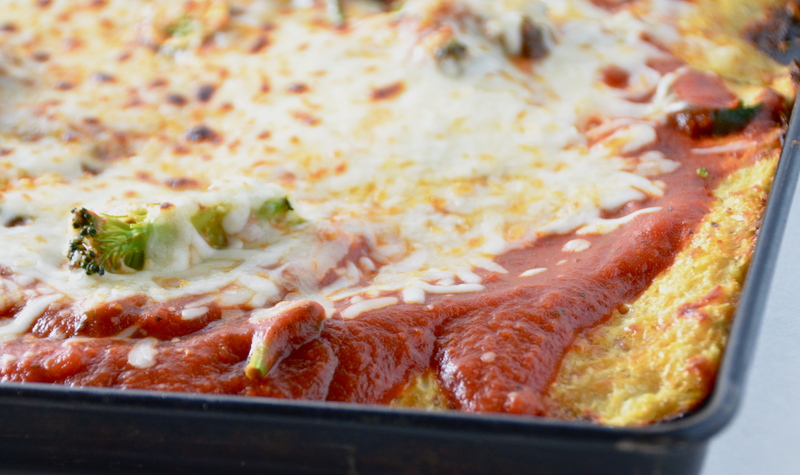 Cauliflower is minced and mixed with eggs, cheese and spices then pressed into a pizza pan and baked. Let me tell you, UNBAKED that cauliflower mixture was amazing when I tasted it for seasoning. It’s really unlike anything I have had before. So, onto that crisped, delicious cauliflower crust you layer on your favorite pizza ingredients (I resisted the urge to put on some pepperoni to keep it entirely veggie) and TaDa! In less than a half hour total, you have a different and incredibly delicious pizza. Pizza sauce, shredded cheese and your choice of vegetable toppings (I sautéed together some chopped broccoli, sliced baby zucchini and chopped chili pepper). 1. To “Rice” the cauliflower, remove stems and leaves and chop the florets into chunks. Pulse in a food processor until it looks like grain. Do not purée it. (Alternately, you can grate the whole head with a cheese grater). 2. Place the riced cauliflower into a microwave safe bowl and microwave for 8 minutes. (It is not necessary to add water, as there is natural moisture in the cauliflower). 3. Preheat oven to 450℉. 4. Grease a large baking sheet. 5. In a bowl, stir together cauliflower, eggs and mozzarella. Add oregano and crushed garlic. Transfer mixture to the prepared pan. Use your hands to press over the bottom. 6. Bake cauliflower crust for 15 minutes. 7. Remove crust from oven. Cover with sauce, toppings and cheese. 8. 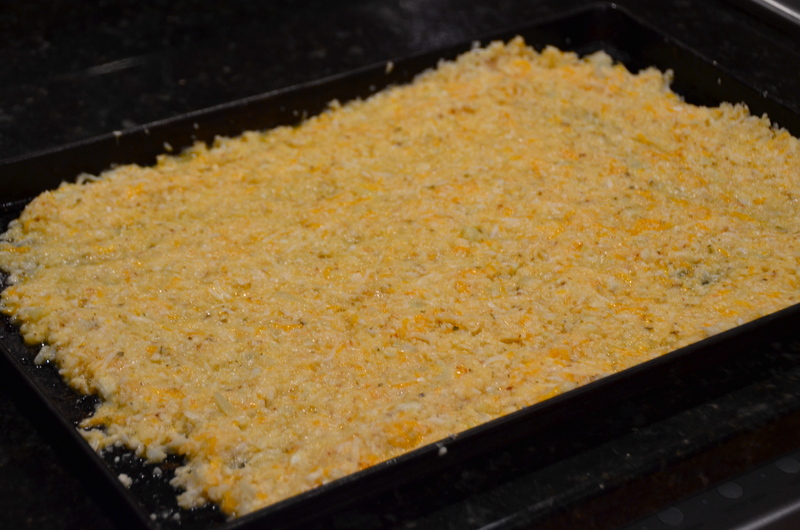 Place under a broiler at high heat just until cheese is melted (about 2 to 3 minutes). Recipe from eat. drink. smile. One of the things I love about Twitter is that it is an easy way to find new and interesting music. Retweets by people I follow always lead to a bunch of fantastic discoveries. What a freakin’ enormous amount of talent this man has. Johnno Casson has a giant back catalogue that I have had a blast working my way through. So many different arrangements and musical directions, I can almost feel his brain wheels spinning as I listen. ‘Absolutely Love’ is my favorite tune from the new album, DIY. It goes without saying that I would love a song titled ‘I’m Peckish’, from the EP of the same name. Check out Snippet on his Website, where you can buy the music. This entry was posted in Main Courses, Vegetable and tagged Gluten Free, Snippet. Bookmark the permalink. 2 Responses to Cauliflower Crust Pizza. Getting My Gluten Free Groove On With Snippet.